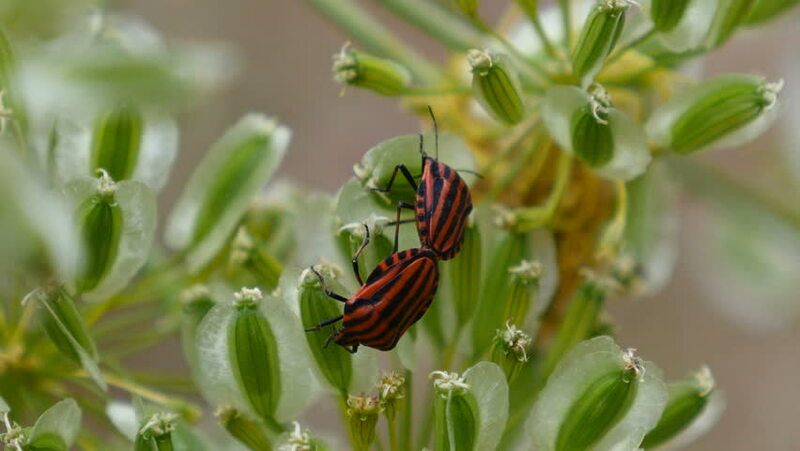 Two red bedbugs copulating on a plant. Filmed in June 2017.
hd00:10Red-belted bumblebee feeds inside purple flowers before flying away. 4k00:16close-up. 4k. bud of bush rose after rain.